Brief Synopsis – Story of an eccentric man who has an imaginary friend which causes his family members to try and commit him to a sanitarium. 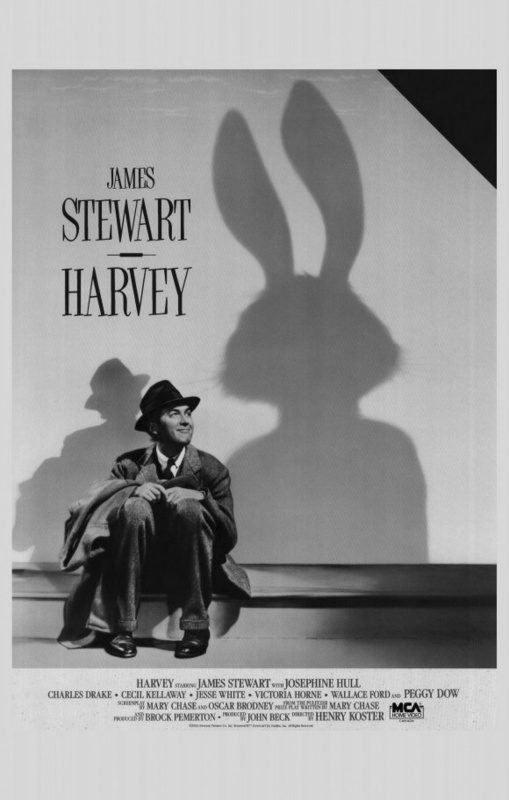 My Take on it – Before there was the White Rabbit in Alice in Wonderland (1951) or in The Matrix (1999), there was a 6 foot 3 inch white rabbit name Harvey. If this movie was remade now, they would probably use CGI to create the Rabbit, but I think its works much better having it completely invisible throughout the movie adding to the realism that he has an imaginary friend. Bottom Line– Warm-hearted story of how its possible to live life in a carefree way and how to learn to tolerate people who are different within society. I meant Stewart. He could have never topped It’s a Wonderful Life.